Five miles away from our current downtown location, First Baptist Church has 45 acres of mountain view recreational property. 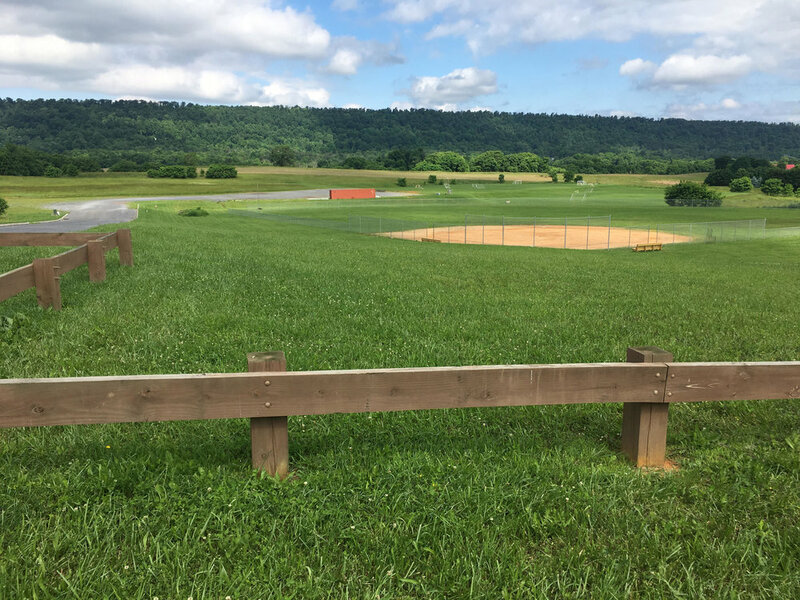 The property is currently used for church softball league, Church fellowships, Fall Festivals, youth events such as: Archery Tag, soccer matches with other youth groups, and bonfires. Tri-County Soccer Club also uses the soccer fields during soccer season. On a Saturday morning over 200 people can be seen in jerseys and shinguards! The property is also a part of a future vision for First Baptist Church expansion.